Image credit: 'Dwayne Johnson' by Eva Rinaldi via COMMONS license CC BY-SA 2.0. Box office titan and all-around nice guy Dwayne Johnson, aka The Rock, has reportedly ruled out running for the White House in 2020, though he has expressed a desire to get into politics and maybe run for President at a later time. But a survey of voters revealed that 2020 might be ripe for him to ascend straight to the top, according to pollsters. The same study also revealed that having The Rock in the White House would make most people feel safer than the incumbent being re-elected. Again the same finding was reported with regard to an inanimate generic rock. 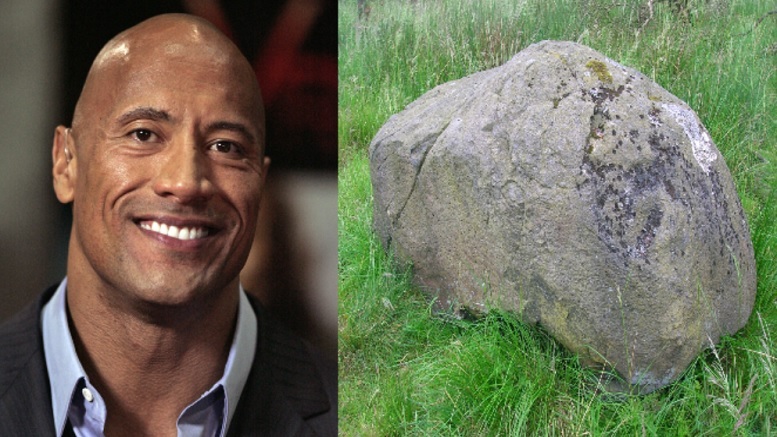 1 Comment on "Poll Reveals The Rock – Or A Rock – Could Defeat Trump In 2020"
Love it. Definitely on a par with Borowitz.